The researchers at the Center for Advanced Spatial Technologies learned last year that a lot goes on behind the scenes during the making of a documentary television show. 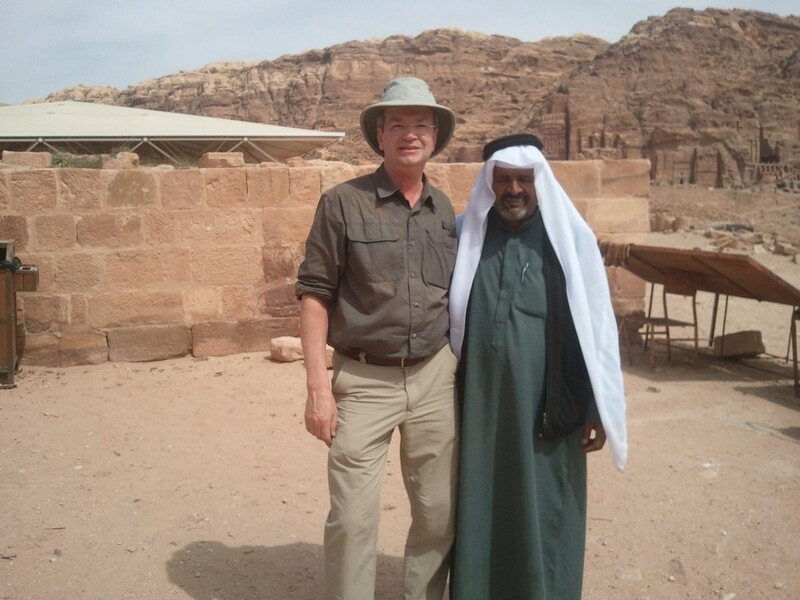 The third episode of Time Scanners, to be broadcast this evening nationally on PBS, took the CAST researchers to Jordan to scan the ancient desert city of Petra. They were filmed used their scanning techniques to explore how Nabatean stonemasons carved Petra’s largest building – the Monastery – out of a mountainside more than 2,000 years ago. The researchers also used ground-penetrating radar to discover what lies underneath the city. All of that will be shown in the hour-long episode. But there were some interesting moments at Petra that happened off-camera. First, there were the donkeys. Motorized vehicles are not allowed to enter the Petra Archeological Park. 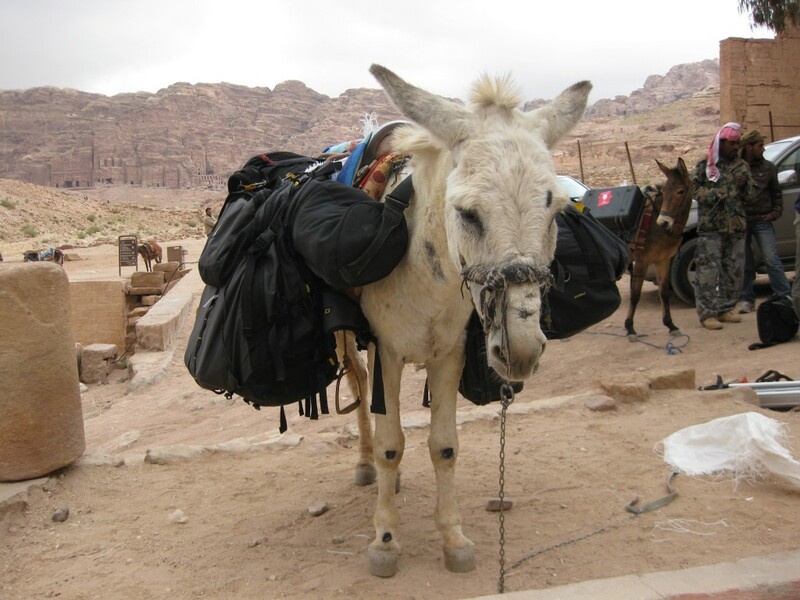 So the production crew needed the assistance of donkeys to carry all of its equipment. That included the high-tech laser scanners that CAST uses to create 3-D point clouds of structures. A donkey with hundreds of thousands of dollars worth of scanning technology strapped to its back. The donkeys were in the episode, but just barely. The Time Scanners cast and crew encountered other four-legged animals during the filming and they were also shown briefly on the show. While they were setting up a shot that showed a cistern in the side of a mountain, a herd of goats wandered into the area. Apparently the goats make regular stops to sip from the water provided by the cistern. Filming came to a full stop while the goats milled around. Malcolm Williamson, a CAST researcher who is featured in all three Time Scanners episodes on PBS, shared a memory from Petra that doesn’t involve animals. During the filming, he met and shared a cup of tea with a prominent member of the local Bedouin community. It turned out the man was a local celebrity because a photo of him atop a carved rooftop in Petra was on the cover of the December 1998 issue of National Geographic. Before they parted, Malcolm had his picture taken with the man.